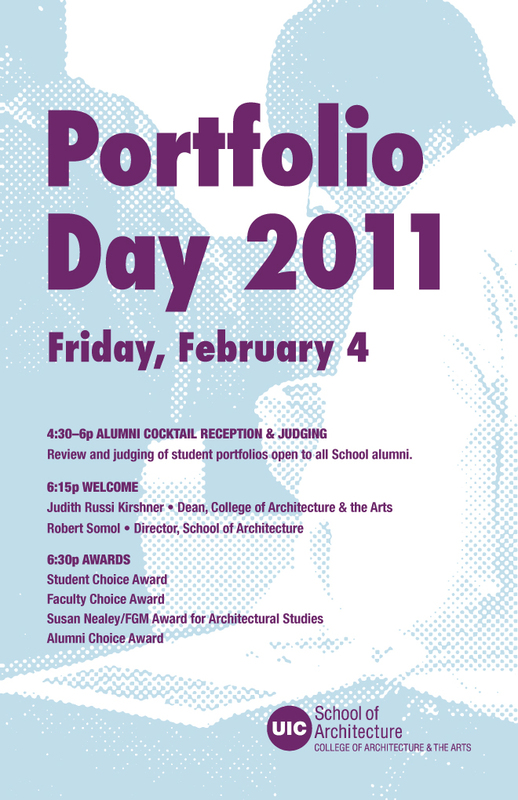 Today, 04FEB2011, is Portfolio Day at UIC. A few weeks ago I gave a few previews of the work and talked about the student voting process. At the reception tonight the student choice award will be presented along with Faculty and Alumni winners! I'll most likely be taking a few photos so watch for those next week. Also I will be posting about our first studio review and a film I produced on our snow day. Lots of interesting stuff coming up.